Came across a large flock of them last week feeding in a Marsh, around 120 birds eating the grass which was obviously to there liking. Never seen them feeding like this before and quite an unusual sight. During the week I received a call saying that they had 2 dead birds of prey which, were basically just skeletons, the flesh having long gone. Arriving at the empty block of flats, the top floors had been empty for 3 years, I made my way up to the higher floors. Sadly and rather tragically I came across the remains of 2 adult Peregrines, a pair, adult Tiercel and Falcon inside the Flat. The Falcon did appear a shade lighter plumage and I suspect she was a youngish adult, possibly just into adult plumage, there was no pale fringing to feathers. Both birds had starved to death it seems after becoming trapped in the Flat, I could even see their roost positions where they had sat looking for a way out. It seems they had entered through an open window, why I don’t know, and they either couldn't find their way back out or the window somehow closed, wind possibly being at higher levels. 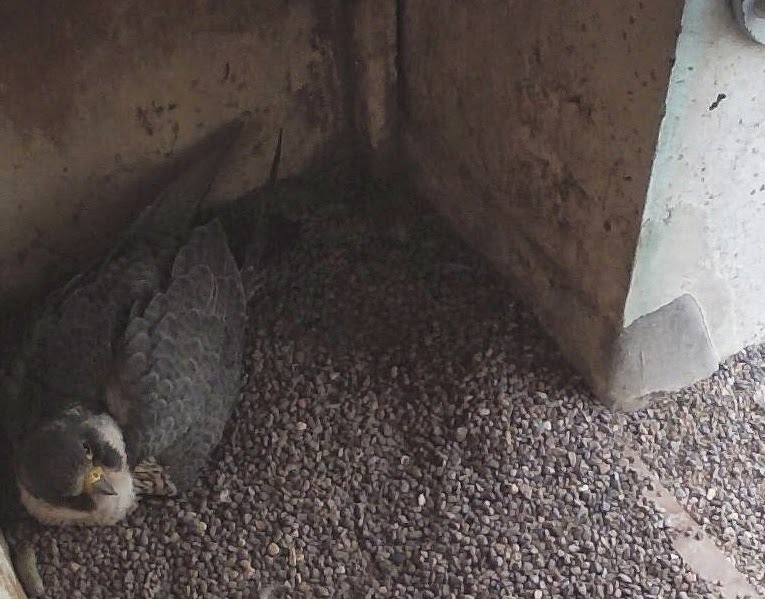 However it happened, it was an accident and shows the dangers at hand to urban peregrines, I am presuming that one bird went in and the other entered after seeing the other in distress unable to get back out? It’s hard to imagine peregrines entering a flat anyway, even empty and it could be they were after a pigeon or saw a pigeon in there, there was not enough guano staining showing for it to be a regular inside roost. Roost/Perch positions looking for a way out. Tiercel - leg ring can be seen. Sadly a mystery and an accident, they have starved to death likely a couple of years ago, I will be able to trace the Tiercel as he was ringed. A couple of months ago on a regular site that I monitor, I noticed that the resident Tiercel had changed behaviour, resting points and indeed hunting procedures/activities. What really bought it to my attention was witnessing the Tiercel tenaciously chasing a Kingfisher on March 9th (see earlier post), at the time I remember thinking he looks small and why the Merlin like pursuit. The usual Tiercel would after 2 or 3 passes on prey, give up. The regular Tiercel was ringed from Chichester, had been present since 2004, eventually I was indeed able to confirm that we had a new smaller unringed Tiercel from CCTV.I monitored and watched him, he did not appear territorial and there seemed to be no sign of the Falcon. I visited the site often, still no sign of the Falcon, not seen visually and additionally Crows were taking the P landing on the building with the new Tiercel basically ignoring them. Peregrines if breeding or even Tiercels on territory will not usually tolerate Crows on the nest structure or building, especially if paired. 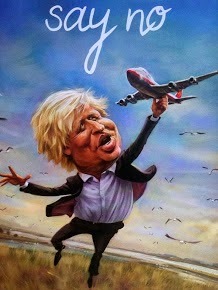 My mind as always, given the treatment and persecution that they receive in other parts of the Country was suspicious, for one to be replaced, likely a natural occurrence, but a pair possibly around the same time is bloody odd to say the least. However it is possible for these things to happen, you can never prove it and to all intents and purposes it could be a ‘ natural ‘ occurrence, the Falcon has gone missing before but admittedly never this close to breeding. With my suspicious mind running riot I continued monitoring, only ever seeing the little Tiercel, both adults had seemingly gone after a good number of years, both in the space of a couple of months, what would you think? Peregrines, as per there Latin name do wander far and wide, this pair are no different, I know they have a decent sized territory, could they have come to grief further afield, lots of questions but I suspect I will never know. 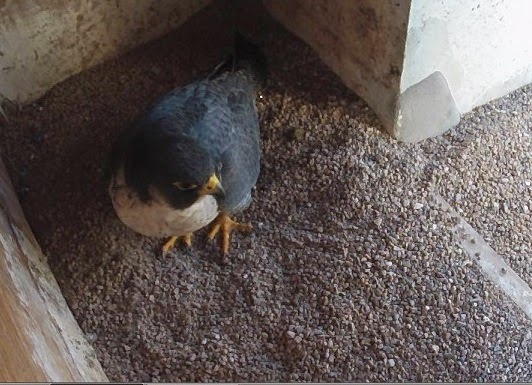 On April 12th having given up on the year and the little Tiercel getting a mate, lo and behold a Falcon appeared in the nest box with him. What was more, it was not the regular Falcon, she had definitely gone, this new Falcon was paler, different head and malar stripe markings along with mantle difference. Regular Peregrine watchers and addicts like myself will know that London’s egg laying starts around March 10th and are all usually laid by the start of April – was it too late? Had I missed seeing this Falcon, how long had she been present, was she a fresh arrival? Lots of questions and I suspect she was a fresh arrival, I and others were monitoring that camera a lot and the first sight of her was April 12th, added to this, the Tiercel although present was letting Crows land on the building beforehand. The question now was, will they breed – yes by April 19th she was incubating so good news all round, the new had replaced the old, the natural order of things or foul play, like I said I suspect I will never know.